We can personalize this article to your specification for an additional €5.00per item. A pacifier strap is simply part of the basic equipment for every baby and toddler! 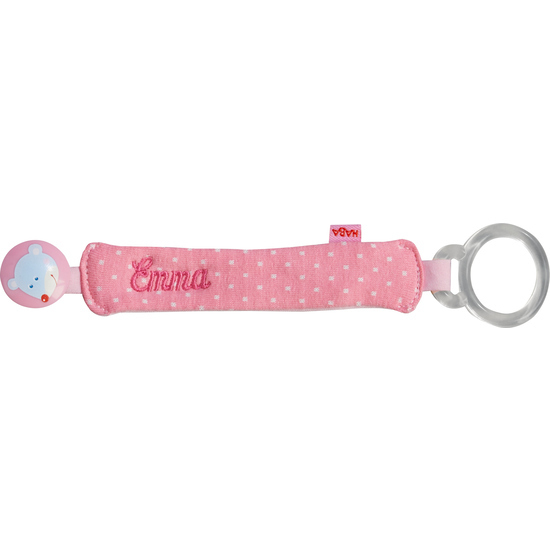 This pink strap with a cute mouse prevents the precious pacifier from falling on the floor and getting lost. If desired, the child’s first name can be embroidered on for an extra charge. This makes the handy helper a personalized favorite. The pacifier strap always makes a great gift as well, and is a unique surprise for parents and little world explorers who will love it for a long time to come.